Coex Aquarium is holding its “2018 Summer Na Hit! 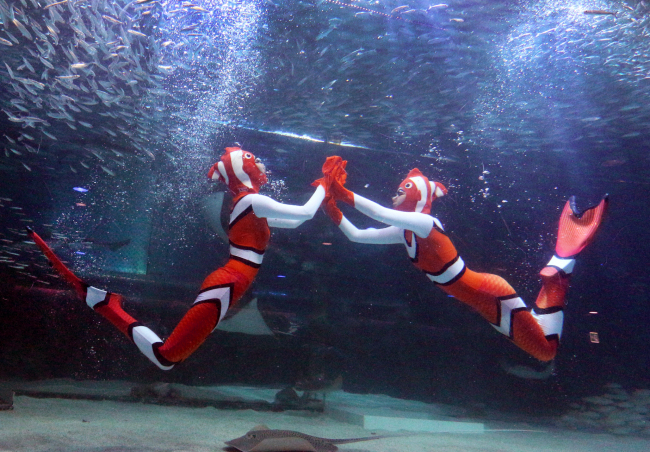 Aquarium” event, with special underwater performances and an extension of operating hours. The special features for the summer season include underwater performances by the “Octonauts” at 12:30 p.m. and 2:30 p.m. Other attractions include an exhibition of 20,000 sardines along with music, lighting and commentary at the Deep Blue Sea zone. During the event, operating hours for the aquarium will be extended by one hour to 9 p.m. The event is held from July 27 to Aug. 5 and Aug. 10-17. Visit www.coexaqua.com for more information in Korean, English, Chinese or Japanese. 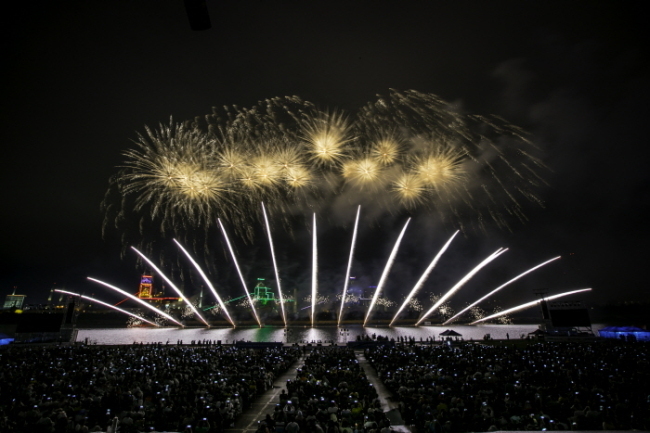 The Pohang International Fireworks Festival is held at Yeongildae Beach in Pohang, known as the “City of Light and Fire.” The festival features a fireworks competition, parade of lights, street performances and a range of hands-on activities. It is held from Wednesday through Sunday, and is open to visitors of all ages. For more information in Korean, English, Japanese, Chinese, call the travel hotline at 1330. The homepage (piff.phcf.or.kr) is only in Korean. The Hwacheon Jjokbae Festival is a unique summer festival, floating uniquely shaped boats on Hwacheon River. It is held in the clean region of Hwacheon, Gangwon Province, home to otters and trout. 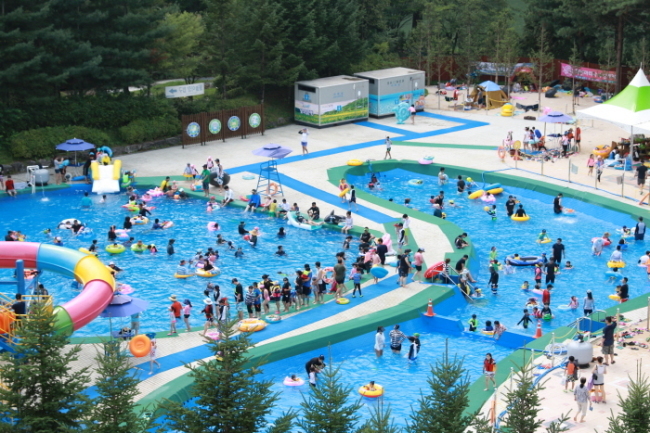 Visitors can enjoy water-related activities, a rafting, or jjokbae, contest and athletic sport programs. The festival is from July 28 to Aug. 5. 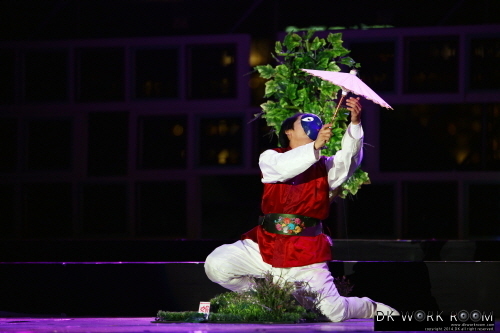 For more information, including on fees, visit www.narafestival.com or call the travel hotline at 1330 for information in Korean, English, Japanese or Chinese. 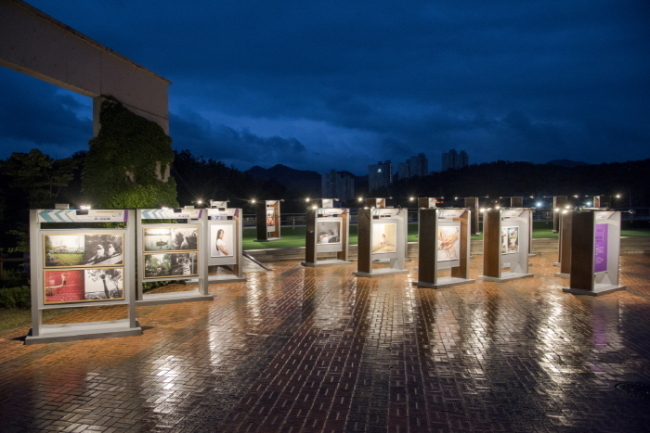 The annual DongGang International Photo Festival features events such as the DongGang Photography Award Exhibition, International Open Call and Photojournalists Exhibition. It runs through Sept. 21.